Over the years, our top-notch services have impressed our clients. Hear what they have to say. We wrapped a Ford Transit Connect with advertising. I could not be happier with Lucent Graphic Solutions. As the other reviews state, the service is first class from beginning to end. To begin with, Lucent Graphic Solutions takes the time to understand your business and the message you want to convey. The design process begins with an in-depth questionnaire and selection of colors, etc. The designs I received from Lucent Graphic Solutions were FAR better than the designs I received from another company. In terms of actually wrapping the car, their process is better than other vendors. They print in-house, treat the vehicle to make sure it is VERY clean and then they meticulously apply the wrap. Our business is located in Granada Hills but we felt it was well worth our time to drive over an hour to have the wrap done by Lucent Graphic Solutions. We're so glad we went through this extra trouble to have a job well done! Lucent Graphic Solutions is first class from start to finish! Their product and customer service is hands down, THE BEST. I recently invested some money from our marketing budget into getting our car wrapped and I couldn't be happier. I am very impressed with the quality of the product and how seamless everything looks. Mark did a GREAT job on the overall design and layout of the car. As a small-business owner, I HIGHLY recommend Lucent Graphic Solutions as a quality company that is honest, upfront and provides a product that will make you smile from ear to ear. Couldn't be happier guys! See you soon with another car. They did a great job on our first cargo van and we purchased another one that they will wrap this week. I contacted 2 other companies and they never got back to me with a proof. Mark got right back to me with a customized proof. He was on top of it and made it easy. My office contacted Lucent Graphic Solutions about getting a wall wrapped in our reception area. After talking with Mark and getting a ton of information that we needed to prep for the install we chose to go with Lucent to get our wall wrapped. We got a couple other offers that were a little better. Lucent worked with us and we gave them our business. 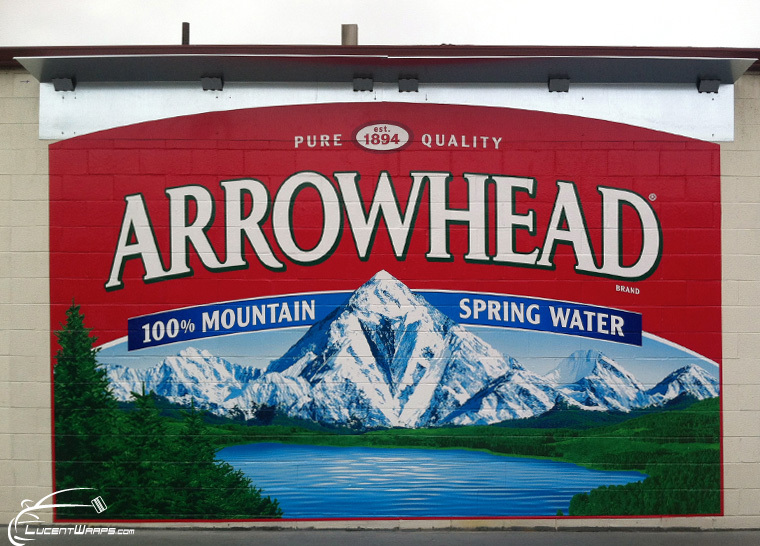 Our office wall looks amazing and we will definitely be using them for our next wall wrap project. I got my limo/tour bus wrapped and Lucent Graphic Solutions did an awesome job! Easy to communicate with and best prices. I checked with a couple other companies also but knew right away this company was the one to go with after talking to Edmund. After only a few weeks with the wrap, I have already gotten calls from people noticing it! If you want a quality vinyl wrap company, look no further. From my experience, these guys are top notch. I have used them on several occasions. No job is too small. I'm on my way to them right now in fact to get some more work done. Quality, quality, quality. Edmund is very detailed and very willing to go the extra mile to provide a quality finished product. Our company had a kiosk that needed a very specific graphic wrap. We went through an exhaustive color matching test print process, and at each stage Edmund was helpful and willing to assist us. The end result was a fabulous wrap with which we are very pleased. I highly recommend Lucent Graphic Solutions for any vinyl wrap needs. This place has the best customer service and the fastest turn out too! I requested a quote to get my car done with my company logo and lettering, Edmund responded right away to the initial request with a nice email and a very reasonable price. Whenever I ended up having a couple of changes and every time I would send him an email with a change, he respond right away with a new mock up! The original request was sent on Tuesday, I then asked him if he could get it done on Saturday, he said the shop was closed on Saturday’s but he would open it and do my car that day! Are you serious?!?! I am telling you, THE BEST! Oh and my car looks awesome! You need your car done fast, right, and the best customer service, call Edmund! Lucent Graphic Solutions is Simply the Best!!! Edmund spent a lot of time with me making sure exactly what I wanted done to my car. He is an artist when it comes to vinyl wrapping. 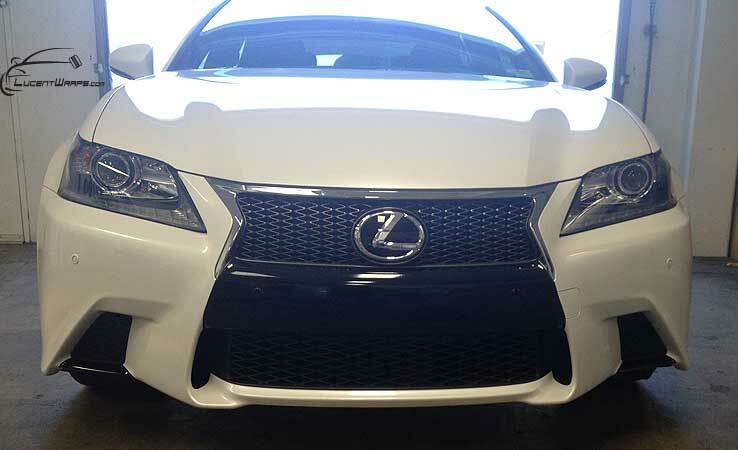 I got my Lexus ES350 covered in the glossy black vinyl. My car never looked so good! There weren’t any bubbles. Very impressed with the skill, labor, and customer service Edmund had to offer. I highly recommend Lucent Graphic Solutions to anyone who is thinking about getting their car wrapped! This guy does awesome work for the right price!!! A client of mine needed to wrap a truck for a tradeshow which Lucent Graphic Solutions did a fantastic job on. Not only did they finish the Job in a rush but did such a clean job. By far the best wraps in SO CAL! I spoke directly to Edmund, his super cool and he will take the time to make sure your blown away by his work. This was a great idea. Edmund wrapped my M6 and I couldn’t be happier. He helped me figure out what was going to be best for my needs. Edmund took his time and did it right. I wish I had done this before! I wrapped my BMW Convertible with a stainless steel color. It came out absolutely great. Edmund is as meticulous as they come. He helped me select the right color and the quality and detail of his work is unsurpassed. I highly recommend Lucent A+. Edmund at Lucent Graphic Solutions is Simply the Best! He recently wrapped our plain White BMW 325 to a Matte Finish. 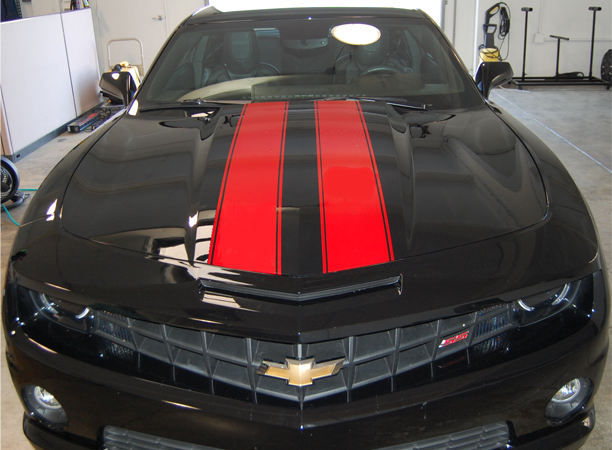 He also wrapped the interior from a wood finish to a metallic finish which complimented the new exterior matte wrap. I was referred to Edmund by our neighbor. My neighbor is a car enthusiast who has a Porsche GT and is extremely picky. Edmund did not disappoint. He is honest and you can see he loves what he does. I did not realize how difficult it is to wrap a car. My brother-in-law had his race car wrapped and after 1 week, it developed air pockets. He was so upset. I told him about Lucent Graphic Solutions and he is probably going to get it redone by Edmund. If you’re going to get your car wrapped, it is definitely smarter to get it done right the first time or you’ll regret it. My Aston Martin is probably the first and only Aston Martin wrapped in Matte Black in Orange County and it could not have been done better and more beautifully by Lucent Graphic Solutions. Edmund is a professional, fair and a very nice guy. He also did my brother’s SLR, he is also very happy with the job. We will definitely be back for more work. I got my Range Rover Sport wrapped. It looks amazing I get so many compliments. Lucent was quick and amazing quality. I have a great experience with Lucent Graphic Solutions, they Applied My Company Name & Logo on Both of my Truck And Van, I get so many Compliments, The Work is Excellent, Very Durable materials they use and it has been holding up perfectly for the last 6 years, I highly Recommend their services and above all they practice a high quality work Ethics. I got a new Ford Raptor and the car is my baby. I wouldn’t trust it to just anybody. I’m in the automotive repair industry so I’m very picky as I know what quality work looks like. Edmund was referred to me by word of mouth and after talking with him I felt totally comfortable with him wrapping my brand new car. 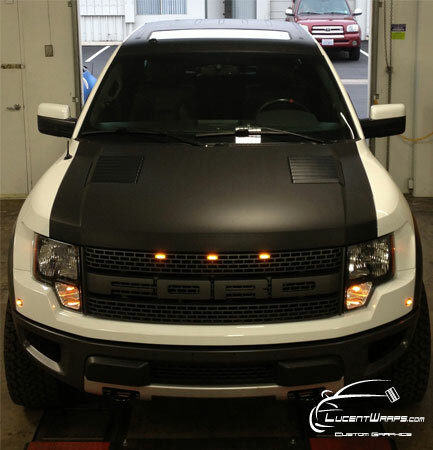 We wrapped the upper 1/2 of the truck in matte black. The results are spectacular. Lots of people comment on the truck and how good it looks.He did it maybe 6 months ago and all’s well to this point. Edmund obviously takes great care in his work and the job was impeccable. He charged me exactly what he quoted and delivered the car in short order. I highly recommend Lucent Graphic Solutions. Edmund at Lucent wrapped our Rip Curl Nav 6 and company Nissan box van. They did it quick and an amazing job and are always great to work with. Check out our Live the Search vehicles driving up and down the Cali coast! Lucent Graphic Solutions did a great job on the wrap for Corona del Mar Florist delivery van. Edmund was extremely knowledgeable on the product, efficient & courtesy. I have recommended Lucent Graphic Solutions to other small business owners and will continue to do so in the future. 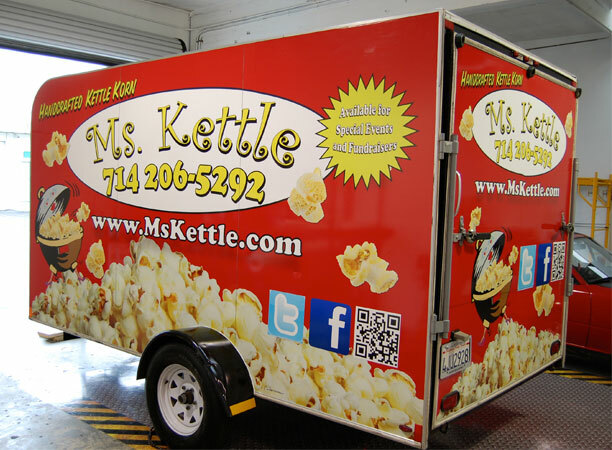 Lucent wrapped my trailer and I will post a photo, they did a great job!!!! We were looking for someone to do a total vehicle wrap on our brand new Roadtrek Nissan NAV-6, to advertise for our partnership with Rip Curl. This vehicle will be in front of ESPN interviews, print work and traveling up and down the West Coast and Mexico for surfing events, we wanted somebody with a great reputation, that was professional and could design the graphics we need. Well we found that with Lucent Graphic Solutions and Edmund and Mark. These guys are the real deal, no “heat and shrink” inferior wraps here, nothing but the best! We will be bringing several more vehicles over to Lucent here in the near future and I can’t wait to see how amazing they’ll turn out! 100% recommend the team at Lucent! Extremely customer related business that was fast and great work! Edmund and Lucent Graphic Solutions did a fantastic job on my car wrap. He was professional, honest, and great to work with. I highly recommend Lucent Graphic Solutions! Hats off to Edmund at Lucent Graphic Solutions. 100% satisfied. Quality installation and professional, honest individual. He did some work at our offices frosting the glass on our executive suites and we started talking. He did such a great job, I took my car to him and both the offices and my car look great. Great service. Lucent filmed all our private offices, quick and painless. Quality of the product was consistent. The wrap looks totally awesome! A number of us employees couldn’t help but stare at it for the longest time, while it was being installed. Your installers were very professional and accommodating (we had one minor modification request to make it look more symmetrical). I appreciate your providing us with this high level of quality work. I was looking for a local shop to accent vinyl wrap the front of my Lexus GS. Sent a few inquiries to Edmund and he was very knowledgeable and responsive to my emails. Made a hassle free appointment and brought my car in. Edmund’s work is top notch and he doesn’t take shortcuts. He spent a lot of time on my car and the pricing was very reasonable. I’m very satisfied and will come back again when I have time to vinyl wrap my roof and possibly some of the chrome. If you need work done, big or small, check this place out! We can’t thank you enough for designing and installing this amazing wrap for our van. The wrap has already paid for itself with the amount of business we have received from it. Your entire team from design to installation was very professional, guiding us through each step of the process. We started working with Edmund 4 years ago when we wanted a small window decal on our minivan for our crime scene cleaning business. As our business has grown we've had them fully wrap a cargo van, cargo trailer, and even the wall in our son's bedroom. Their rates are fair and the quality of their work is great. But what keeps us coming back is the expertise and professionalism of Edmund and his team. They always take the time to educate us on the various options and they've been great with bringing our design vision to life. I enjoy working with a fellow Los Angeles business and will continue to use their services in the future.